The Grivel Airtech Newmatic's are excellent multi-use crampons. In many ways an ideal crampon for winter walking and mountaineering in the UK, and indeed classic alpinism in the mountains of Europe. 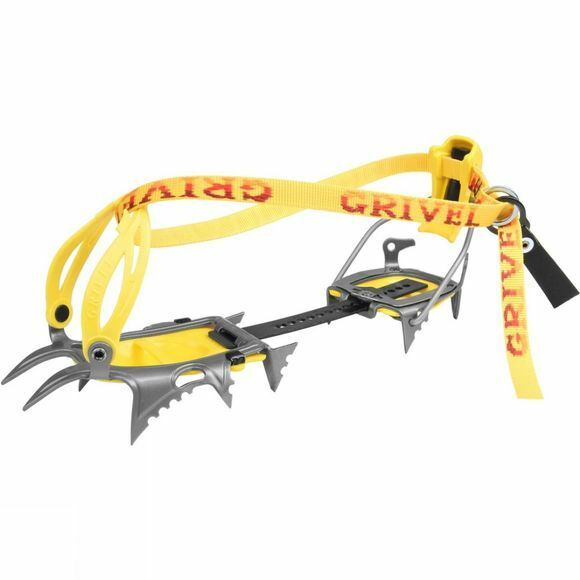 The crampons points are short and designed for the new requirements of 'mixed modern' alternating ice and rock. The Newmatic plastic harness system is hinged from two front posts which retain the boot securely even if it has a shallow, worn front welt or overboots are being used. It is really an 'all seasons'� crampon, very light and takes up minimum space as it folds up completely on itself.